OF all the places he has photographed, Victoria Falls holds a special place. In fact, there is 2-meter-long, back-lit, picture of Victoria Falls in one of the most famous wildlife photographers in the world’s office in Germany. Benny Rebel shares why Zambezi Crescent’s magnificent lodge in Victoria Falls, Zimbabwe, is a perfect destination to go on a Photographic Safari. Here is the last of a four-part series of interviews with professional photographers who have visited and stayed at Victoria Falls River Lodge. Based in Germany, photographer Benny Rebel is considered to be one of the most successful wildlife photographers globally. His work has won numerous international awards and he has authored several books, films and other media pieces. He has organized and carried out numerous film-, photo-, environmental protection related- and adventure expeditions to various African countries. 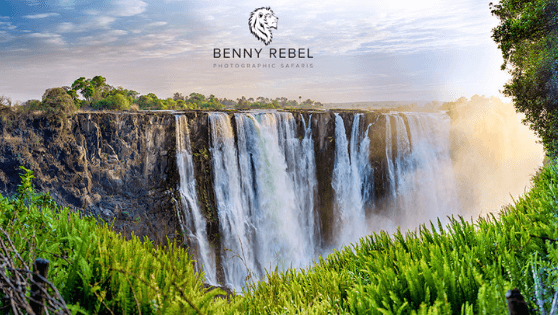 Benny also conducts photographic safaris and visited Victoria Falls River Lodge in 2018. What is the most amazing thing you photographed at Victoria Falls? Why? Would you recommend a Photographic Safari to Victoria Falls River Lodge and why? Yes, I would. The service and the meals are great. The rooms are huge and nice and the boat trips are superb. Tell us more about the Photographic Safari’s you host.